Not sure how much of this video you can stand — nothing could interest me less than a couple of audiophile / vinyl enthusiasts spouting off on what they think about some random records sitting in a local store’s bins — but one or two bits caught my eye. I thought it might possibly be of service to share them with you. Is there any value to the comments of these two collectors? If you care about what music they like, perhaps. Anything about what to look for on the label or jacket that might correspond to better sound? If it’s there I sure didn’t see it, but I admit to speeding through most of it so I can’t say for sure. The first bit I refer to above is at 18:42. The album in question is the legendary Kind of Blue. At this point the unseen helmet-cammed audiophile picks up the record, recognizes the original cover, and proceeds to pull the record out to see what era the pressing is from. But we here at Better Records would be falling all over ourselves to get our hands on that later pressing. Those late pressings can and often do win shootouts. We would never look down our noses at a Red Label Columbia jazz LP, and neither should you. Posted in *Our Record Overview - The Good, A List of Albums We're Obsessed With, A List of Reissues That Can Beat the Originals, Advice - Record Collecting for Audiophiles in General, Advice - Understanding Records, Five Star Albums, Genre – Jazz – Trumpet, Labels We Love - Columbia/Epic, Masterpieces of Rock and Jazz, Reviewers, Top Artists - Bill Evans, Top Artists - Cannonball Adderley, Top Artists - John Coltrane, Top Artists - Miles Davis, Videos and tagged audiophile vinyl, Better Records, Hot Stampers, tom port on November 22, 2017 by humorem. GLYN JOHNS is one of our favorite producers and recording / mixing engineers. Click on the link to find our in-stock Glyn Johns engineered or produced albums, along with plenty of our famous commentaries. 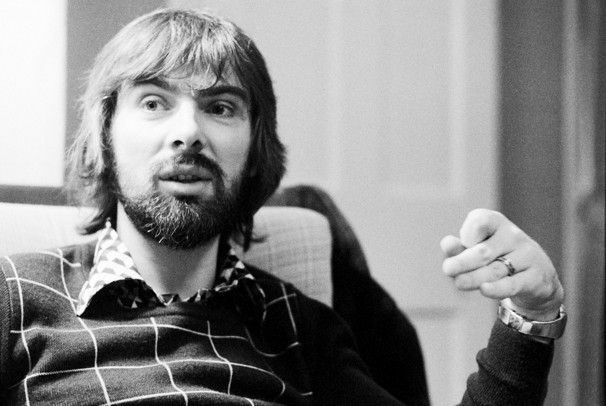 It was only about 2000 or so that we discovered what an amazing engineer and producer Glyn Johns is. A Hot Stamper of the first Eagles album on the original Asylum White Label blew my mind, produced and engineered by none other, so I quickly started looking around for other records he might have had a hand in. How about Who’s Next? Let It Bleed? On The Border (my personal favorite Eagles album)? Led Zeppelin’s debut? And of course, Sticky Fingers, a record that I’ve always known had the potential for great sound — you can hear it buried under all that bad vinyl and groove wear. You can hear it; you just can’t enjoy it through the noise. Posted in Top Artists - Crosby, Still, Nash and (sometimes) Young, Top Engineers - A to Z, Top Engineers - Glyn Johns and tagged audiophile vinyl, Better Records, hot stamper vinyl, Hot Stampers, hot stampers vinyl, tom port on November 8, 2017 by humorem.